A valedictorian is the top ranking student in a class. The word valedictorian is derived from the Latin vale dice re which means “to say goodbye”. True enough, a valedictorian is tasked to deliver the final keyword speech at the graduation ceremony. You have been named valedictorian, congratulations! 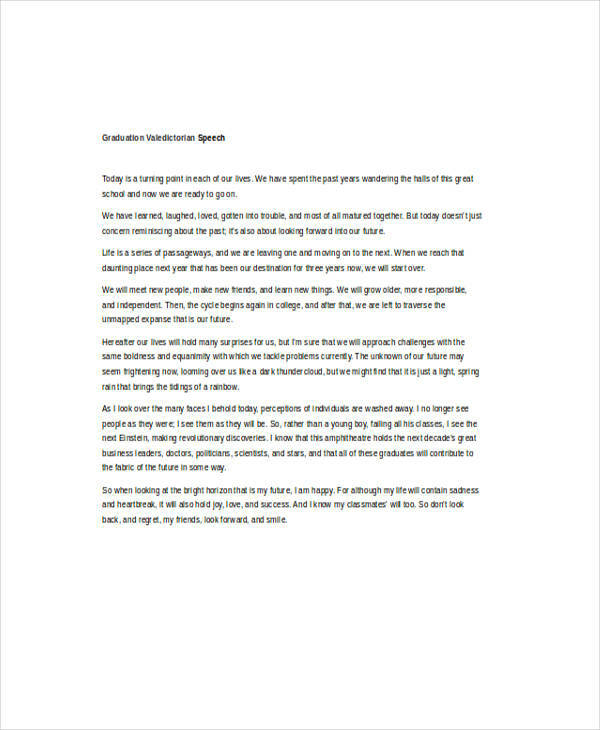 In writing your valedictorian speech, a speech outline is necessary. 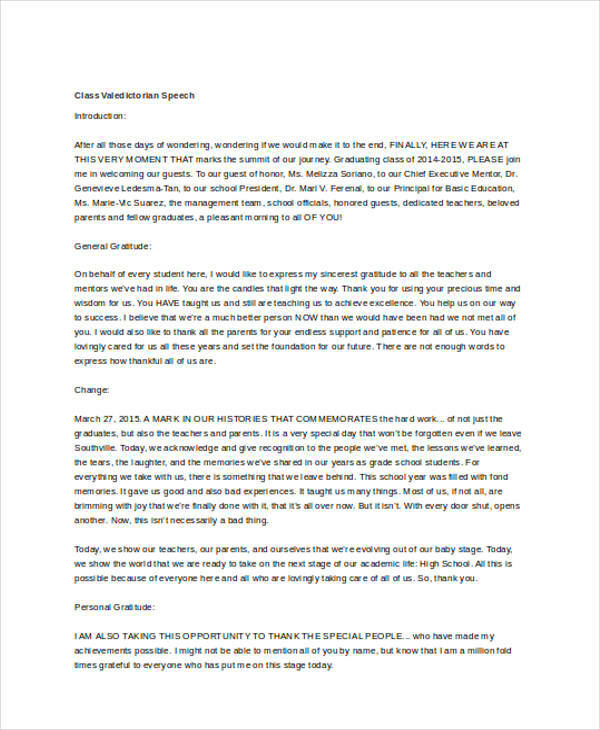 A speech outline will help you compose a well-organized valedictory speech. Speech outlines will help you identify the important details of your speech and put them in order. Simply put, speech outlines will be your guide from beginning to end of your speech composition. 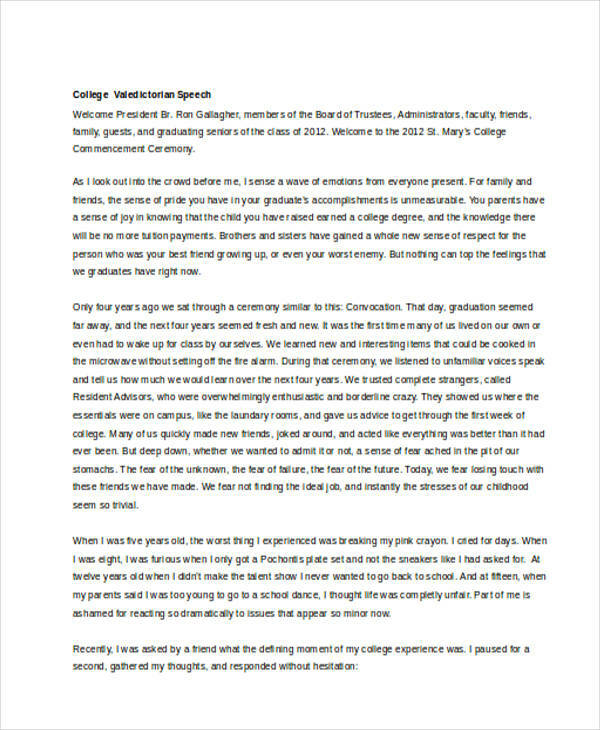 What Is a Valedictorian Speech? 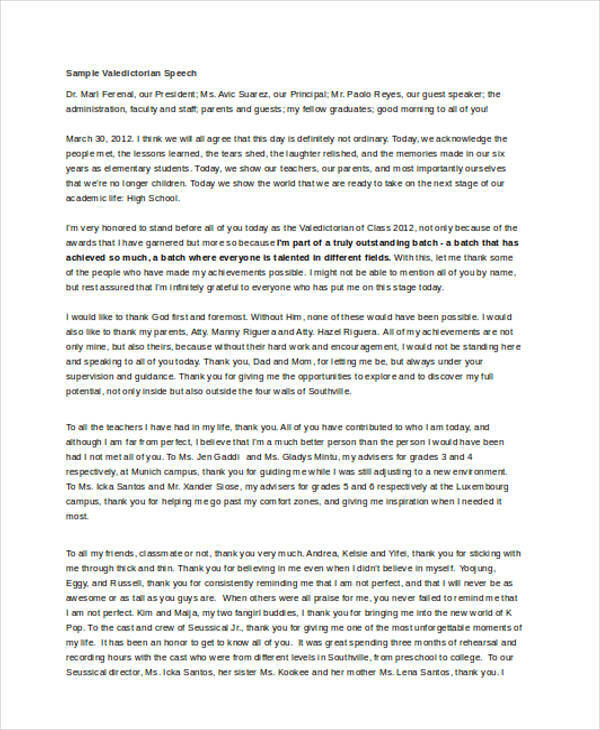 A valedictorian speech is a message delivered by the class valedictorian near the end of the graduation ceremony. 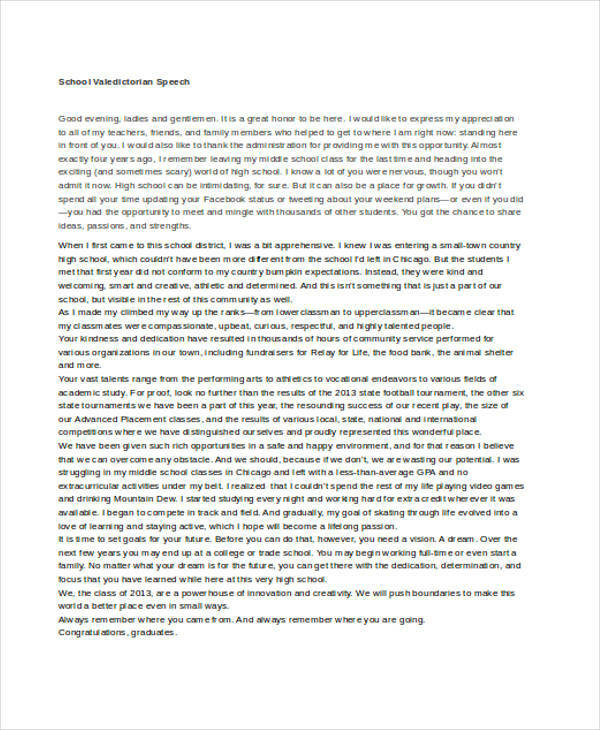 A good valedictorian speech is, usually, a meaningful farewell message intended to express the valedictorian’s thoughts and feelings throughout his/her four years in school. You may also see how to start a speech. Here, a valedictorian usually retells memorable experiences the whole class shared together, insights, realizations, reflections, and of course, learned lessons. 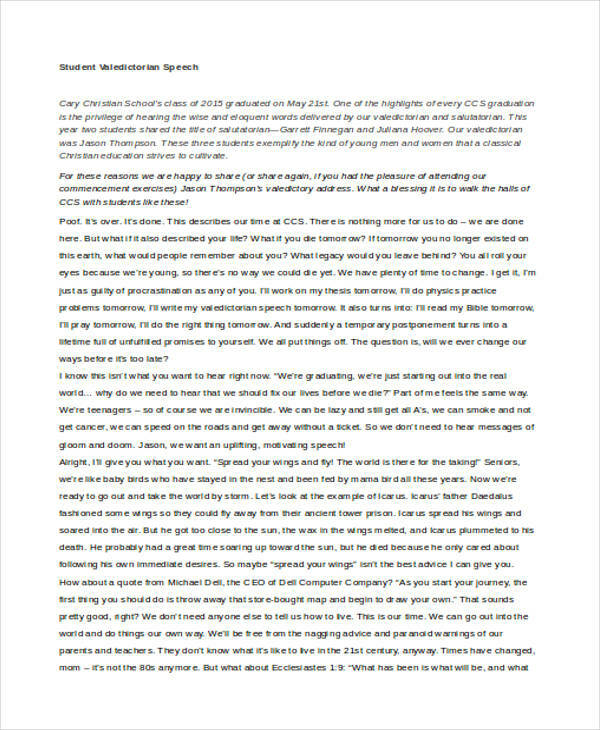 As you can observe in some valedictorian speech examples in PDF format found here, a valedictorian speech can be quite lengthy and is of course, quite boring. 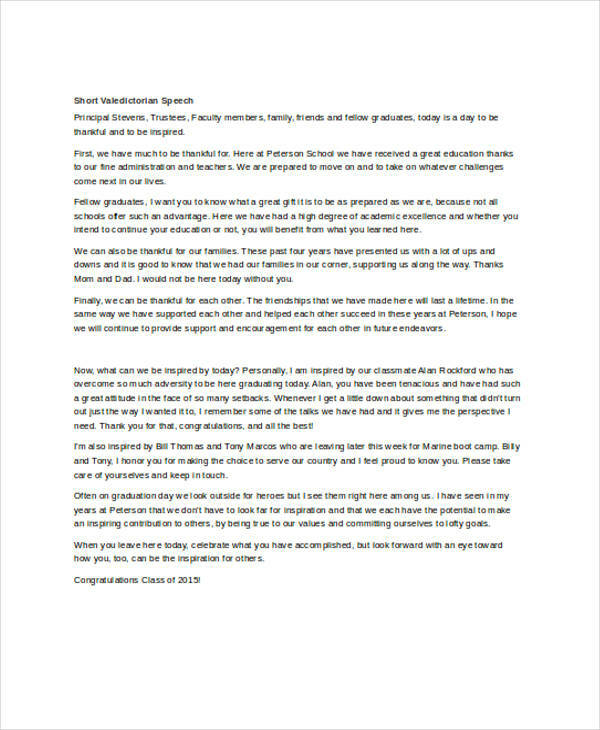 A valedictorian speech is intended to deliver an inspiring and a moving farewell message that encourages the graduating class to move forward and achieve great things in life. It also gives the valedictorian a chance to speak up, on behalf of the whole graduating class, their thoughts about everything they have experienced, felt, and learned in school, be it positive or negative—an honor and a burden the valedictorian is tasked to do. 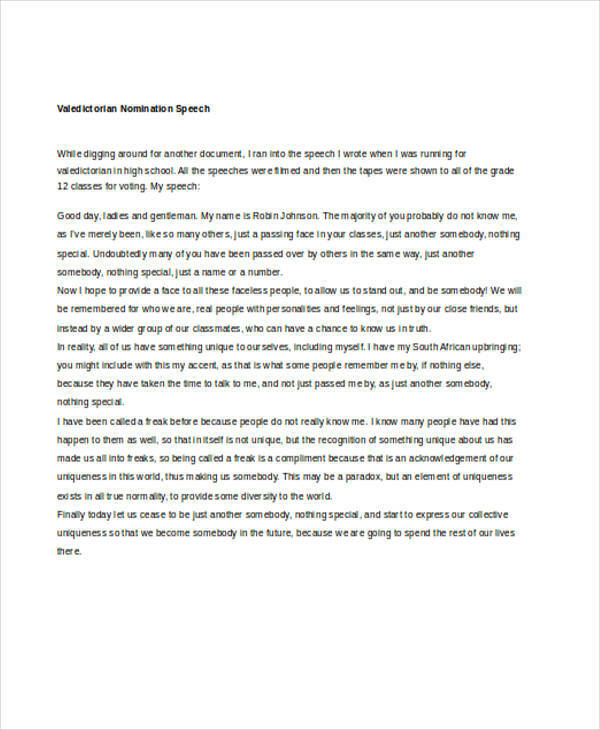 You may want to take a look at speech examples for student examples if you’re having a hard time writing your valedictorian speech. Plan. Take time to brainstorm ideas. Read. Read books and other graduation speeches, and look for inspiring quotes and anecdotes to include in your speech. Talk. Talk to the members of the graduating class. Reminisce past events and share your thoughts about them. Create an outline. Write down your ideas. Write everything you want to include. And organize everything. Always think about your audience. Think about how they will react to everything you say. Your speech does not have to be too long. Just deliver the most important details. Talk about the past and the future, throw in some jokes and some drama. Remember to thank the people who were with you all the way. You may also like presentation speech examples & samples. Do not talk about yourself all the time. This is a common mistake, by the way. You may share a personal experience, but that’s it for you. Save the most important messages for last. End your conclude speech with messages everyone would want to remember.